This is a amazing product with fast results and absolutely no side effects. Our Topical hair product which is clinically tested on over 1,500 subjects has been remarkable. We at Epilobium Inc. have looked for the right product for over ten years and this combination is the fruits of our labor. We recommend for best results the combination of our 12Day Hair (capsules or spray) with the 12Day Topical Hair product. 7 sprays morning and before bed - leave in. Depending on hair loss product should last 3-4 months. 100% NATURAL HAIR GROWTH for WOMEN. Best Hair Growth Formula Containing Naturally Grown Epilobium Parviflorum (Willowherbs) With Patent Pending Oenothein B+ Androgenic Alopecia Pattern Hair Loss Diminished Through 5A-Reductase Inhibition. 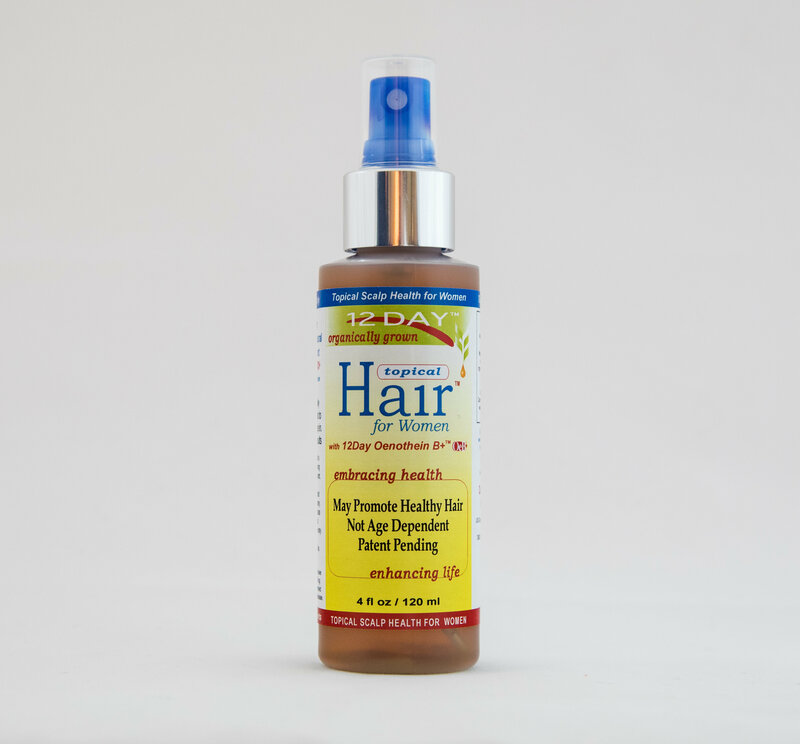 Assists With Blocking DHT, Thinning Hair, Hormonal Hair Loss, & Female Pattern Baldness. Effectively Treats All Hair Types.